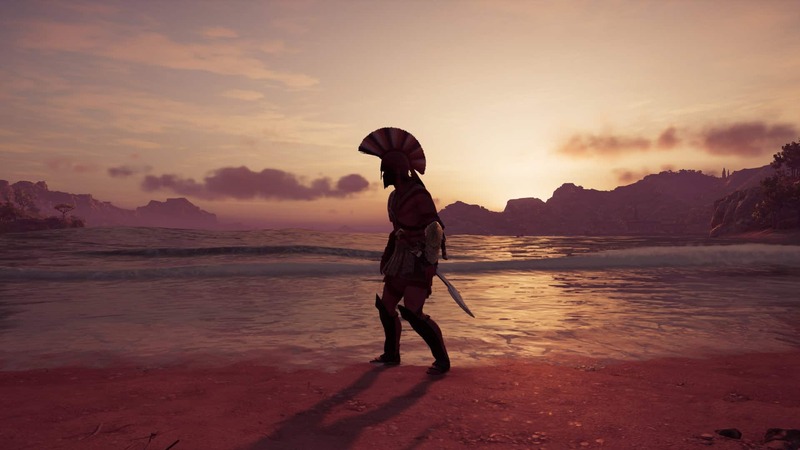 I have put in about 30 hours of game-play in Assassins Creed Odyssey but the game is so huge it feels like I only have scratched the surface. There are still many more islands to visit and I think I’m actually only at around 28% completion. Great story, world-building and I love the mediterranean atmosphere. It takes me back to my summer vacations in Spain and Greece and makes me long for the summer again. The game feels somehow similar to Origins but even better. It’s bigger, the graphics is better, more life-like and there is a choose-your-own adventure approach where you have to select yourself what to say and how to respond. I like that you don’t always have to choose the violent option. Many times there is actually a peaceful solution to a problem, a solution that doesn’t involve a complete massacre. As with Origins, I have of course taken the opportunity for some in-game-photography. Here are some of my better captions so far.